Join CES Cru as they invite you to the official celebration of their Strange Music signing! 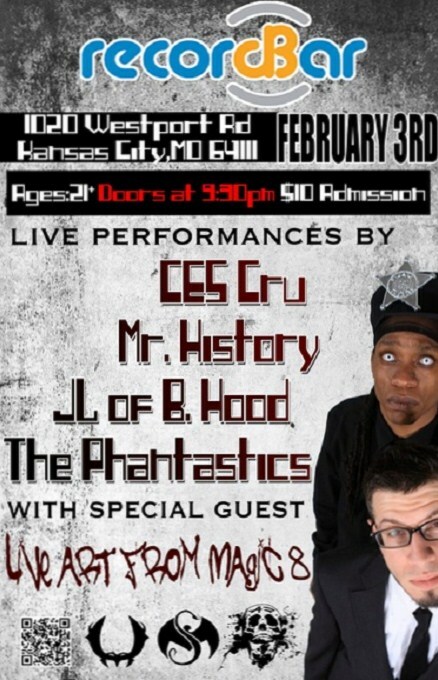 It all goes down February 3 in their hometown of Kansas City as CES Cru takes the stage at Record Bar along with JL Of B. Hood (“Worldwide Choppers”), Mr. History, The Phantastics, and live art from Magic 8. Don’t miss out on the party because a celebration like this only happens once!